Best time to travel to Europe -Europe is always a good idea! Europe is full of exciting destinations. However, they cannot be all covered in one go. Therefore pick places on the ‘must visit’ list and plan the rest of the vacation around them. The main three travel seasons in Europe are high season, low season and shoulder season. It all depends on where you’re headed to as the continent of Europe is a rather large place that spans many different weather zones and longitudes. The high season, commonly known as the peak season in Europe or more often the summer travel season is the most popular time to travel. High season travel months are from June to September, and during this season, longs days (it doesn’t usually get dark until about 9.30 or 10.00pm), sunny weather and ebullient nightlife turn Europe into a powerful magnet. Low season or the winter season is from November to March and days can be short and the weather can be cold. 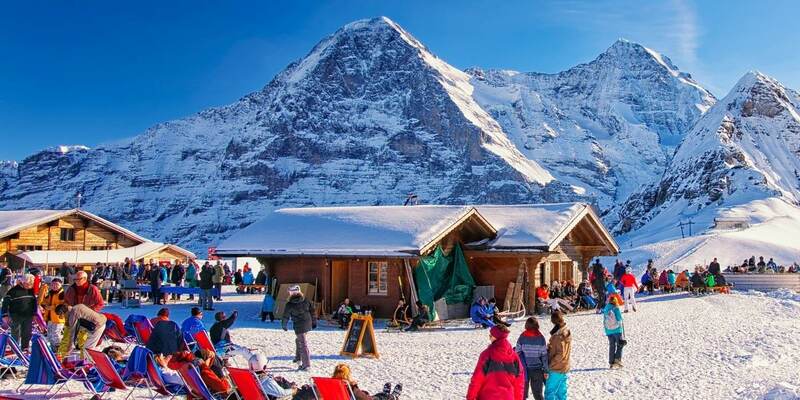 Except for ski resorts, hotels close down or drop their prices during this period and if you enjoy the lack of fellow tourists, the crisp air, then this is the ideal season to visit Europe. From April to May and from September to October are Europe’s shoulder seasons – that beautiful time of the year when the windows are flung open, when the weather is mild and fewer crowds. Consider booking day tours in destinations as it can be tedious standing in line especially when travelling in the summer. The longer tours have meals thrown in and they all have experienced tour guides to explain everything. Visit forums, travel sites and watch vlogs to discover hidden gems and get tips on planning. Aitken Spence Holidays is one of a premier travel agency in Sri Lanka that offer well coordinated and extensive tour packages to multiple European destinations.